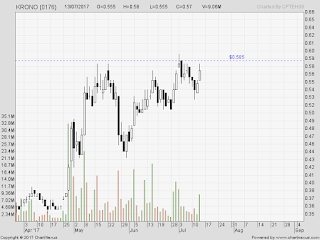 Inari-wb : Breakout of RM1.44 ... so, I grabbed on the spot. 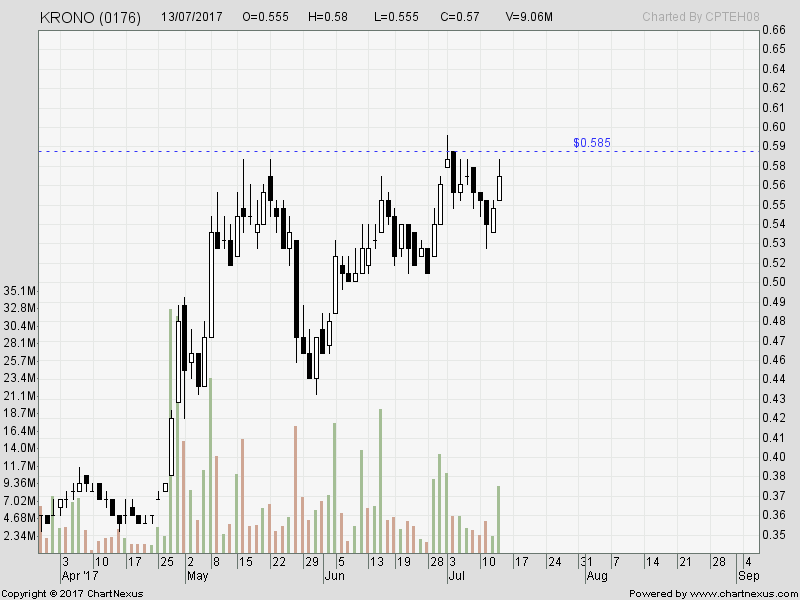 Inari-wb : I sold at RM1.55, parked in the morning ... as I have many more to trade. So, put your target ... let me be. It hit RM1.59. Well, as I bought 100lots ... that is RM400 difference. But, I always remind my 'students' that we could never able to sell at peak. 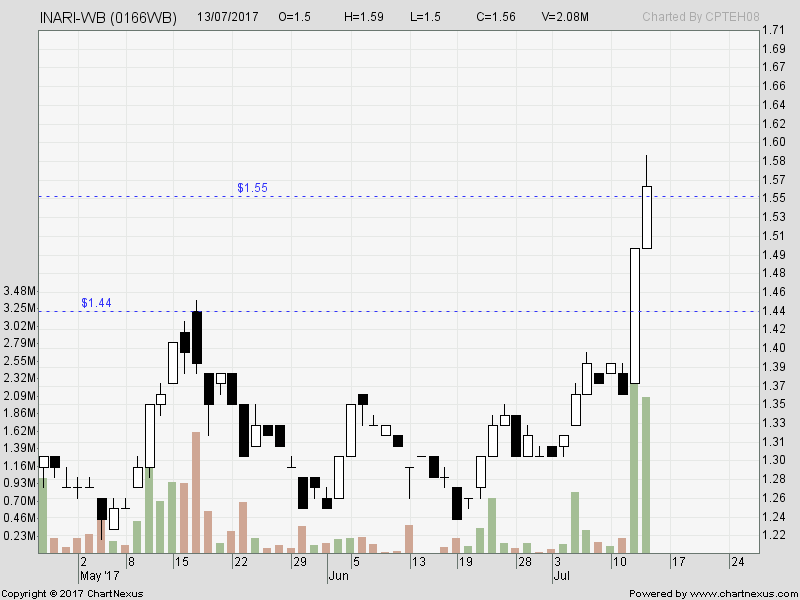 If we want to sell and hit our target, take the profit. 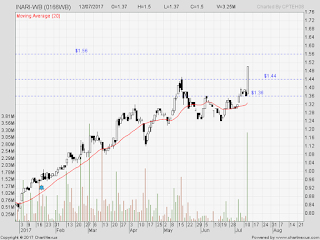 At the moment, it is trading at 1.55 - 1.56 ... hit RM1.59, and low is RM1.54. We do not chase it up ...so, buying today carries higher risk. 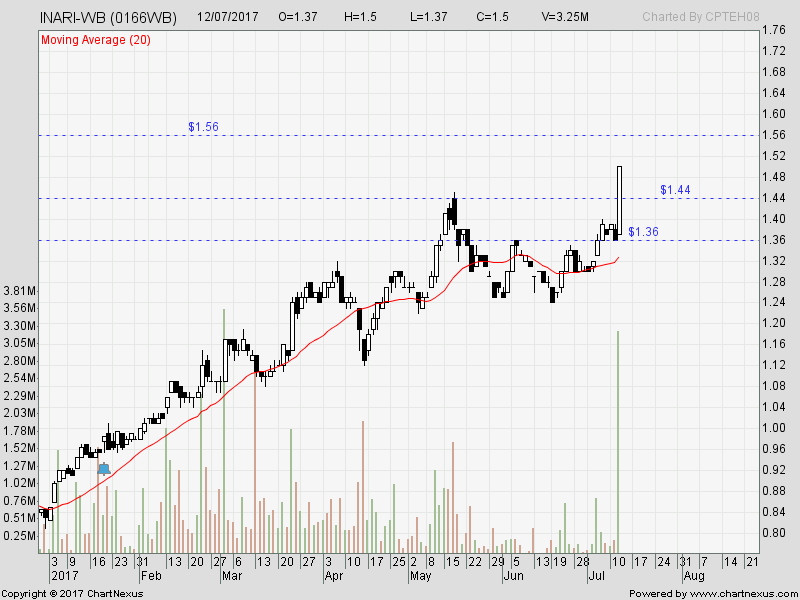 It is a sell ... and waiting for consolidation for me to buyback lower? We shall check again . 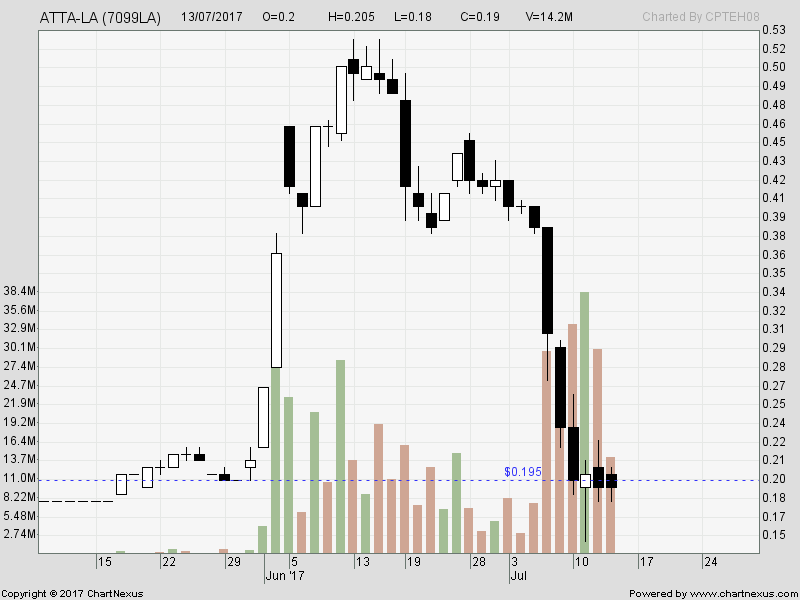 Atta-la : I have traded her when it breakout and shot up ... then cut-loss. It was 3 - 1, the score. Then ... suddenly it dives ... and caught her one round --- profit. 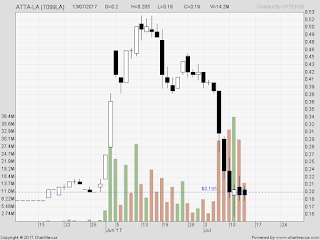 But caught her bad due to the THOR-hammer (refer to my previous post) and then ... it failed to rebound. As it went below 19.5cents, I sold her off for a loss ... at 19cents yesterday. So .. the score for Atta-la stands at 5 - 2. I m ignoring her and quitting it till it breaks 20cents again. What is in play and in my hand now? 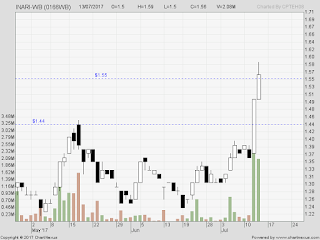 Krono .... pending breakout 59cents and to add in, average up. Other than that, I still have many in hands ... waiting for market sentiment to recover ... tho DW hitting new high, we are stuck with the old-stories of 1MDB. Time to check and plan for next trades.